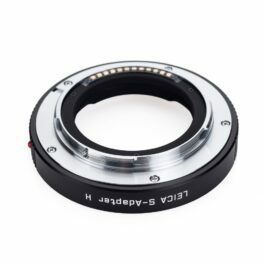 With this adapter, Contax 645 lenses can be used with the Leica S (Typ 007), (Typ 006), Leica S2 and Leica S2-P cameras. 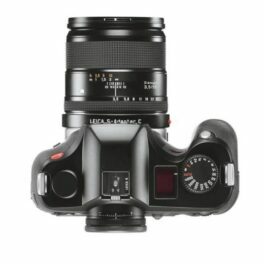 The adapter enables owners of the Contax 645 system to switch effortlessly to the Leica S System. 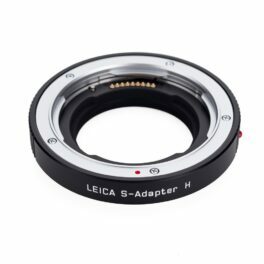 The Leica S-Adapter H will allow Hasselblad lenses to have an extended scope of application with the S-camera due to the integrated focal plane shutter of the camera body. 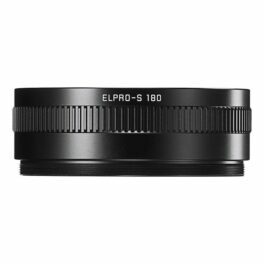 This will allow the photographer to shoot with the Hasselblad lenses, as well as, with central shutter or without central shutter by using up to 1/4000s with the focal plane shutter of the camera. 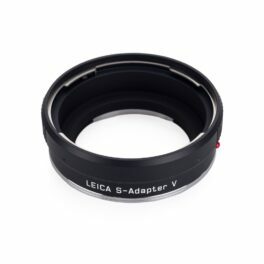 The Leica S-Adapter H does not support the following components: HTS 1.5 Tilt/Shift-converter,Converter H 1.7x, Extension tubes H13, H26 and H52 and H-System CF-Adapter. 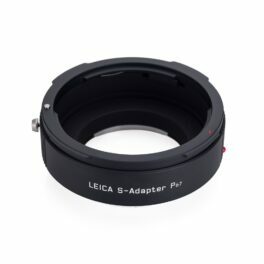 The Leica S-Adapter P67 allows all lenses in the Pentax 67-system to be mounted on the Leica S and S2. 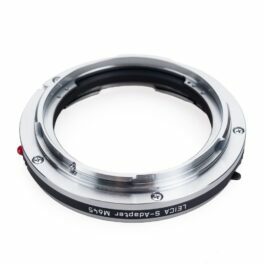 The Leica M-adapter allows you to use a Mamiya 645 lens on a Leica S camera. 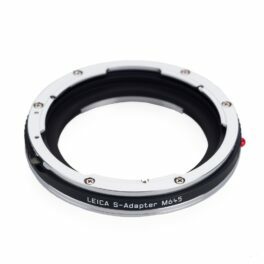 The adapter is strictly mechanical, attaching the Mamiyas lens to the Leica S body, with no electronic communication between camera and lens. Includes the box and instructions. 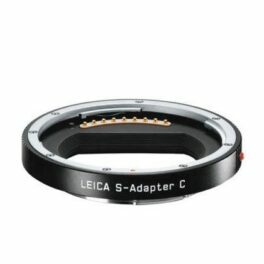 The Leica S-Adapter V allows all lenses in the Hasselblad V system to be mounted on the Leica S and S2. 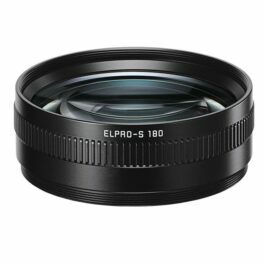 This includes all C, CF and FE lenses from both the 500 and 200 Series systems. 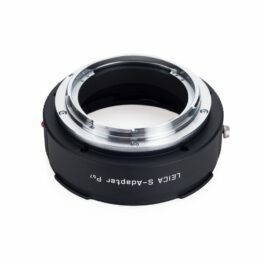 The adapter does not fire the leaf shutter in the CF lenses. 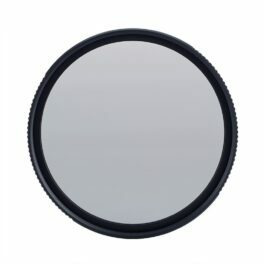 Only the focal plane shutter of the S is used. 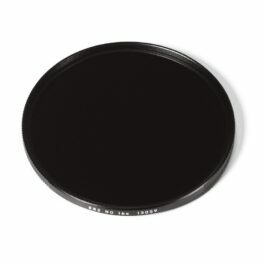 Leica E95 circular polarizer for lenses with a 95mm filter thread size. 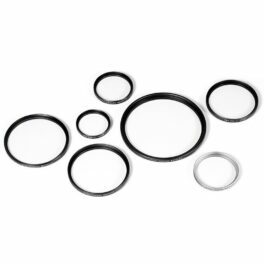 Leica’s new line of circular polarizing filters are designed to eliminate undesirable reflections from shiny surfaces like water or glass and help to enhance color contrast without impacting image quality. 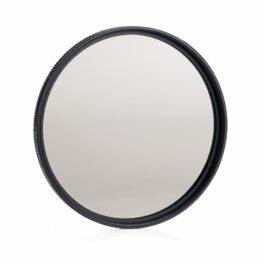 Do note that depending on how the polarizer is set, there will be some degree of “filter factor” that reduces the amount of light coming through the lens, necessitating some exposure adjustment if working in manual mode. 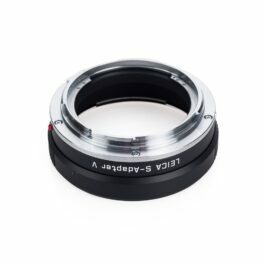 They are manufactured to the same optical standards and with the same aluminum used in Leica M lenses. 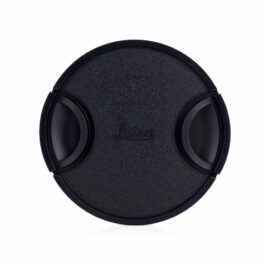 Leica E82 circular polarizer for lenses with an 82mm filter thread size. 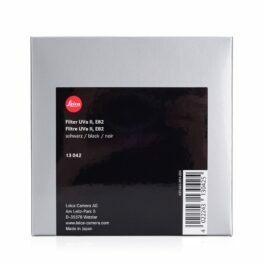 Leica’s new line of circular polarizing filters are designed to eliminate undesirable reflections from shiny surfaces like water or glass and help to enhance color contrast without impacting image quality. 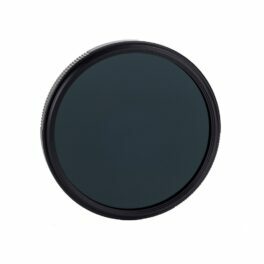 Do note that depending on how the polarizer is set, there will be some degree of “filter factor” that reduces the amount of light coming through the lens, necessitating some exposure adjustment if working in manual mode. 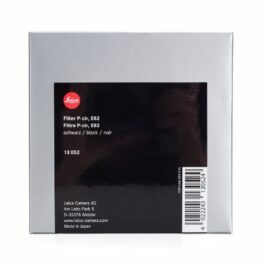 They are manufactured to the same optical standards and with the same aluminum used in Leica M lenses. 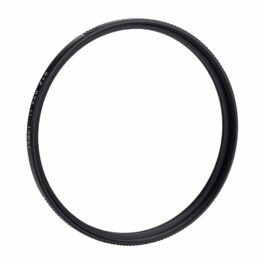 This Leica 82mm Front Lens Cap is a replacement cap for Leica S and SL series lenses that feature a 82mm filter thread like the 30mm Elmarit-S, 35mm Summarit-S and 70mm Summarit-S. Keeping the lens covered when not in use will protect it from dust and scratches.